The Soul Box Project is a national community art initiative raising awareness of the U.S. gunfire epidemic by counting and honoring victims, offering healing participation to those seeking solace, and providing dramatic visual support for all initiatives working for a safer, more civil society. The Soul Box Project is collecting one hand-folded paper Soul Box to represent every person killed or injured by gunfire in the U.S. since 2014. Tens of thousands of these boxes will be displayed together as massive art installations in public spaces around the country. The mass of Boxes is impactful but many of the Soul Boxes are also works of art. To appreciate them individually they need to be displayed in an artistic manner in a quiet place where there is time to absorb their collective meaning. The installation at the Multnomah Arts Center Gallery opening April 5 will do exactly that. Thousands of 3 x 3 inch message-bearing Boxes attached to mesh panels will fill the walls, but also cover freestanding pillars supporting netting filled with tumbles of Boxes. The result will be an immersive experience where visitors will be able to sit and fold their own Soul Boxes and talk with other community members. At regular published hours, volunteers will be on-site to help people fold, but instructions will always be available. The Boxes made by the community will be piled in the Gallery’s hallway window with a sign updating the growing count of Soul Boxes, both at the Gallery and nationwide. In addition, the Soul Box Project has invited another project to exhibit. Artist Cathy DeForest founded The Vision Quilt (visionquilt.org) in Ashland, Oregon. Her project aligns perfectly with the Soul Box mission. 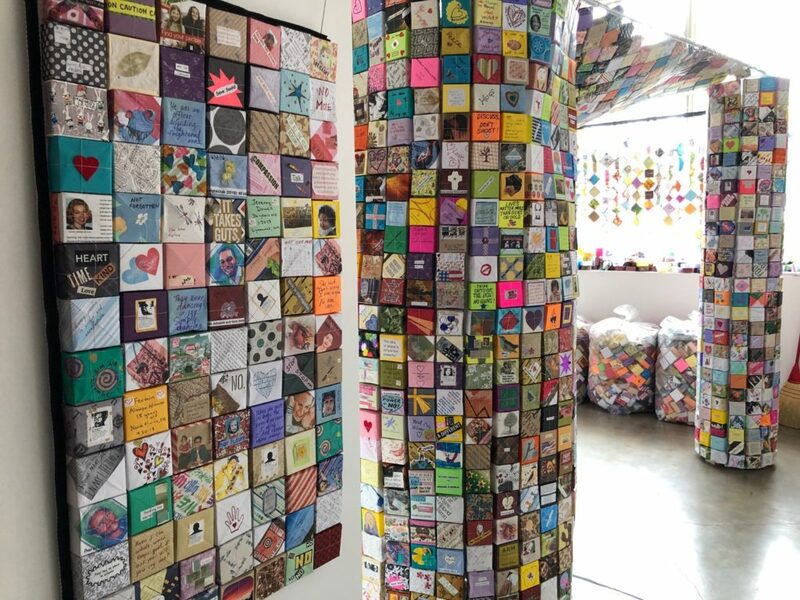 The Quilt’s 18 x 24 inch fabric panels, made by students and teachers expressing the theme “It is possible…[to end gun violence],” will add visual variety to the thousands of small origami Soul Boxes and introduce a valuable education program raising awareness of gun violence. 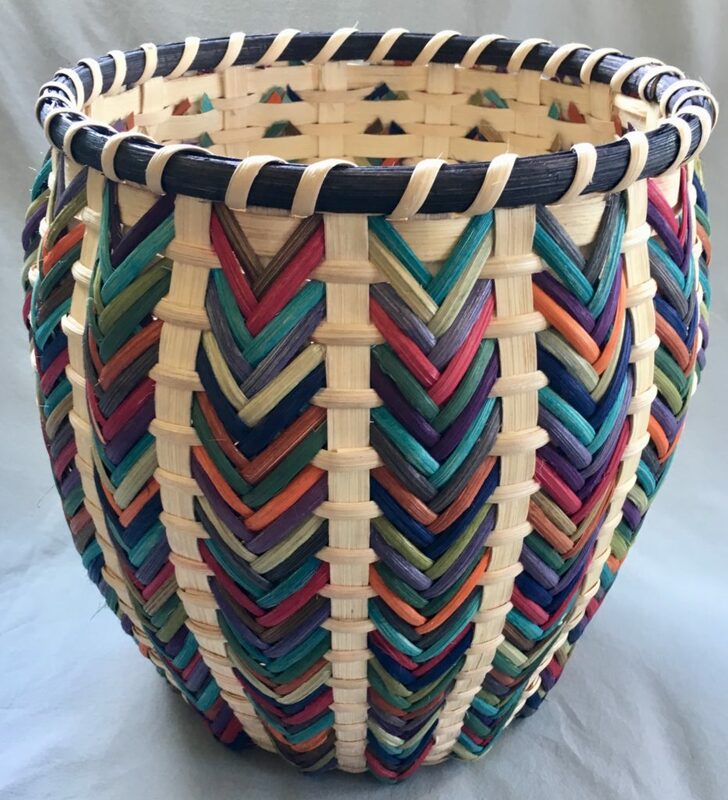 “Inspirations from Nature: A Mother and Daughter Show,” an exhibit of paintings by Rachel Laura and basketry by Debra Carnes, will be on view at the Multnomah Arts Center beginning May 3. Both artists are inspired by nature. Their work is philosophically similar, yet different in the translation and in the mediums that they work in. They consider the show a great opportunity to work toward something together, to share their vision of this inspiring world with others and to celebrate Mother’s Day in the month of May. An opening reception will be held in the gallery on Friday, May 3, 7-9pm. The show ends June 4 at 5pm. 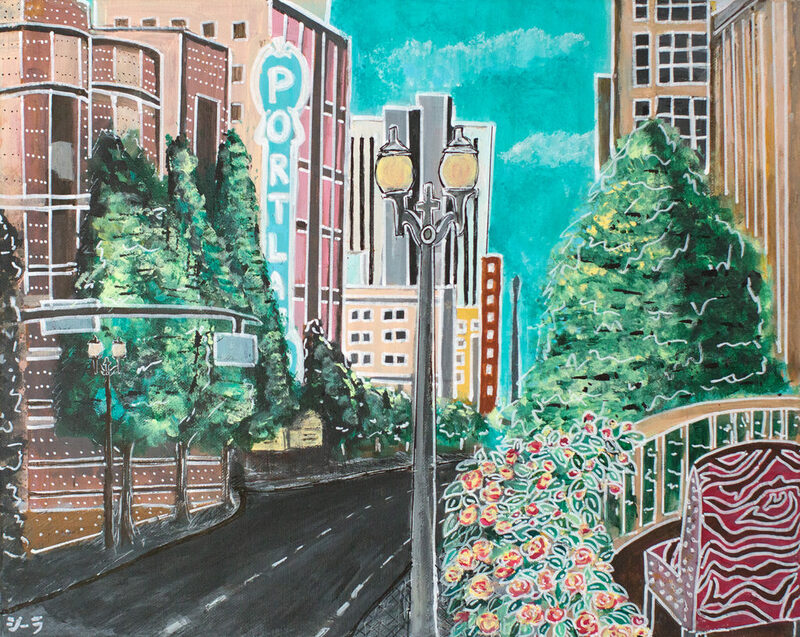 Rachel Laura is a Portland artist who has been passionate about creating all her life when she realized that she is a landscape painter. 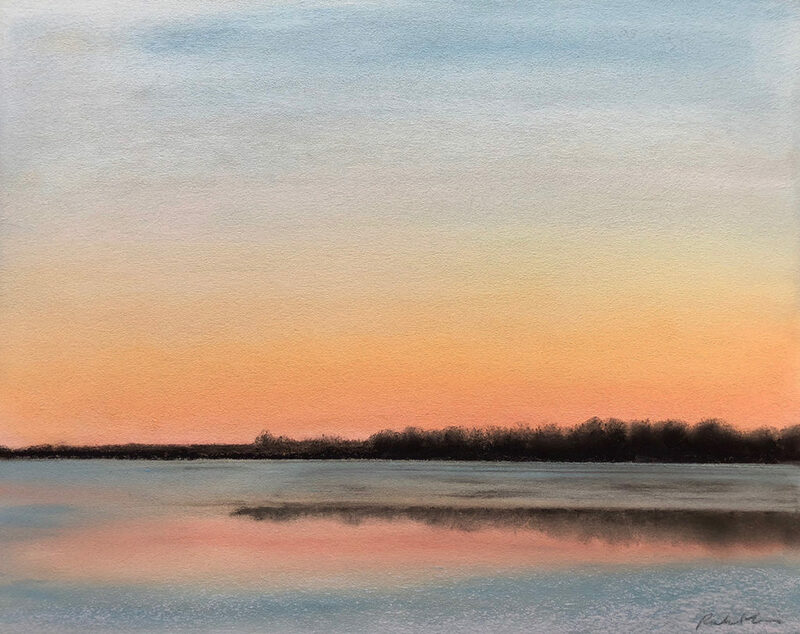 She began working with spray paint and recently has taken up soft pastels. She enjoys switching between the non-traditional and traditional mediums. 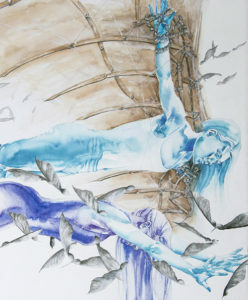 As Laura states, “I’m inspired by the beauty in the world around me and want my work to create a feeling of calm promoting a sense of inner peace and well-being.” She works with the idea of “Yugen” which is a Japanese term that means an awareness of the universe triggering emotional responses too mysterious for words. She aims to inspire a moment of peaceful relaxation. Multnomah Arts Center Gallery has approximately 200 linear feet with beautiful white display walls and “floating” walls for versatile art displays. As an educational instrument for our community, the MAC Gallery has been open since 1982 and has had over 300 shows. 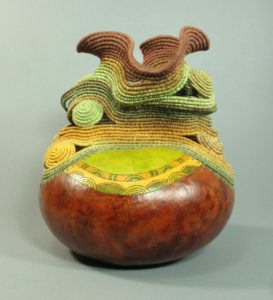 The artists who show here are residents of Oregon or Washington if they live in the immediate vicinity of Portland. We have 12 shows throughout the year with an artist reception coinciding with First Friday in Multnomah Village. Artwork related to MAC classesThough the main urpose of the Multnomah Arts Center Gallery is educational, we hope to have the shows stimulate thought and/or emotion and create some sort of reaction in the viewers who through. Multnomah Arts Center’s mission is to provide high quality instruction and participation in the performing and visual arts to all itnerested persons, regardless of age, race, religion, ethnic origin, financial means, or level of ability. The MAC Gallery reflects this mission by paying the artist a larger commission than traditional galleries. Artists are accepted to show their work based upon a variety of criteria including artistic excellence, content, craftsmanship, professionalism, marketability, and educational value. If you are interested in purchasing an artwork on display which is for sale, please inquire at the front office. A portion of all sales supports arts education at MAC. Read about the gallery’s 2013 renovation in the Portland Tribune. For more information about MAC’s Gallery and Exhibitions, please contact Jaye Cambell. To view our previous gallery shows, click here.